ANZ, Australia’s fourth largest bank and the largest bank in New Zealand, has hinted at plans to incorporate retinal scanning technology in the near future for customer access and banking transactions. “Seventy-nine per cent of Australians said they would be comfortable with fingerprint technology one day replacing their banking PIN and more than one third of Australians would prefer to live in a cashless world,” an ANZ press release states. If results from the commissioned study are to be trusted, the number of Australian individuals willing to give up their privacy and be put into large biometric databases is staggering. – 73 per cent of people find it inconvenient when small businesses don’t accept cards and only cash, with 82 per cent of 18-34 year olds finding cash only policies the most frustrating. “Before long we may use our fingerprints or even retina scans to make payments. 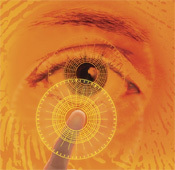 Australians have shown they are comfortable with biometric identification, because it combines convenience with security,” Futurist Ross Dawson remarked concerning the study’s results. Already down the pike for ANZ is a MobileWallet, similar to Google’s Wallet, that would allow Near Field Communication, or close-proximity transmissions, of ANZ terminals and SMARTphones. As we have covered in the past, the public’s acceptance of a cashless grid is the foundation globalists need in place to one day construct a closely-controlled and monitored one-world currency. Recently, tremendous strides have been made to stamp out paper money by criminalizing its use and downplaying its effectiveness all in the name of advancing the prosperity of humankind. Last month, we documented the illegal detainment of a Texas woman at a San Antonio Wal-Mart where two $100 bills she used for payment were ripped up in front of her by two different employees, who subsequently accused her of counterfeiting. Police later arrived and verified that the bills were in fact real. In February, the FBI warned coffee shops to be on the lookout for people who “Always pay with cash” as they may potentially be conducting terrorist activities. Also, earlier this year a Tennessee man was charged and jailed by police after using an old $50 bill to pay for goods at a Quik Mart store, which later turned out to be genuine. The gradual weaning of the masses into accepting a “fashionable” cashless society is taking place right before our eyes. By accepting biometric check cashing, balance inquiries and loan applications, the elimination of cash, and even its plastic substitutes, is accelerated, positioning us directly in place for central monetary control – the likes of which would potentially enable others to eliminate or exclude participants at a whim.